We have a new #TheFringeOff post to share with you. As Trixie no longer has a fringe you will see some new faces popping up but make sure you check out what Trixe has been up to because she has some amazing posts from New York (jealoussss). 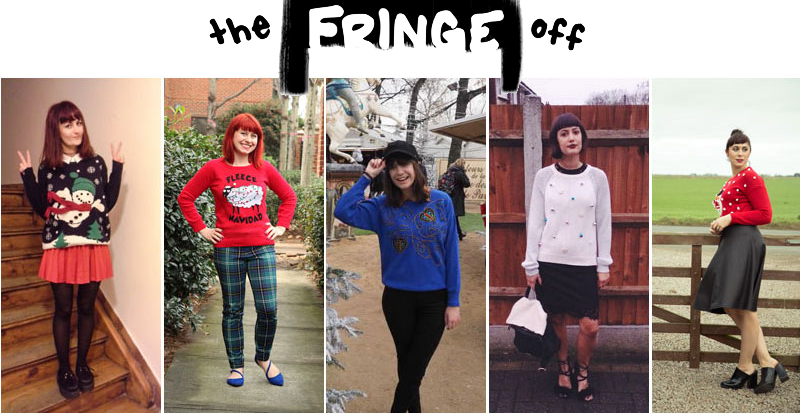 So this 'The Fringe Off' collab was all about Christmas Jumpers. 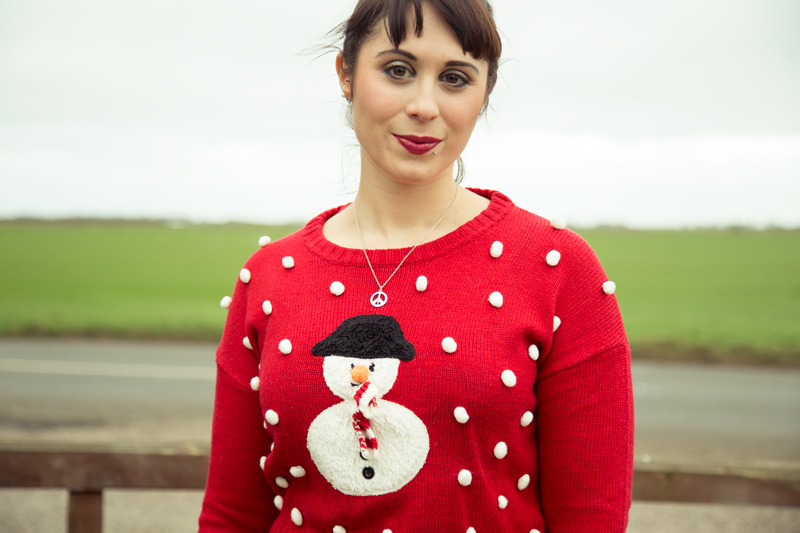 Including mine there are 5 different looks on styling a Christmas jumper and seeing as it is national Christmas jumper day tomorrow it will hopefully give you some ideas on how you can style yours. I have gone for a slightly more glam Christmas jumper look with a pleather skirt and some heels. I am actually planning on wearing this to my Christmas meal tomorrow as I thought it would be pretty fitting. As red is such a bright colour I felt pairing it black complemented it especially with a red lip, but you could jazz it up even more and pair it with a green skirt or even red for that more stand out look. So there is mine now for the other girls, all you need to do is click on the image below of their outfit and it will take you to their post. Everyone has put their own style on their outfit so make sure you check everyones out. Have an awesome Christmas jumper day tomorrow. So happy to be in The Fringe Off group!